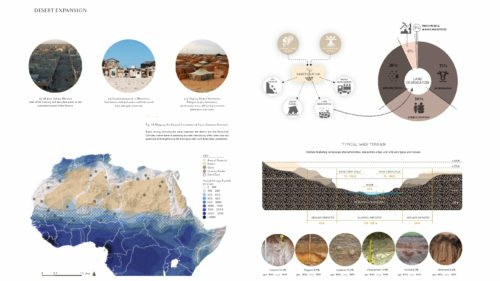 With fast growing population rates, and the further desertification of the Global climate, desert regions covering one fifth of the world’s surface provide an opportunity for future habitats and pose a planning challenge due to their extreme conditions. 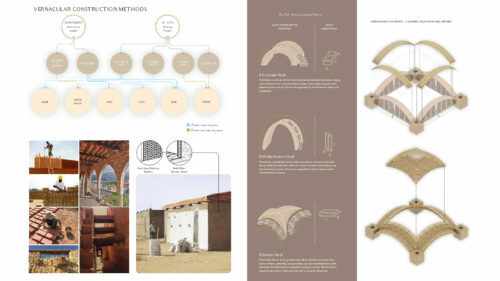 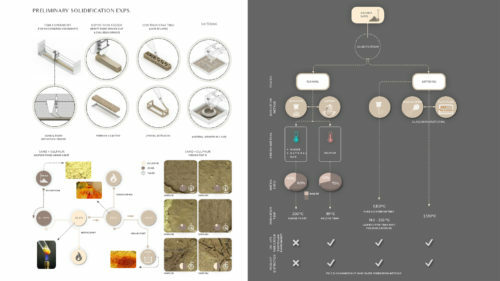 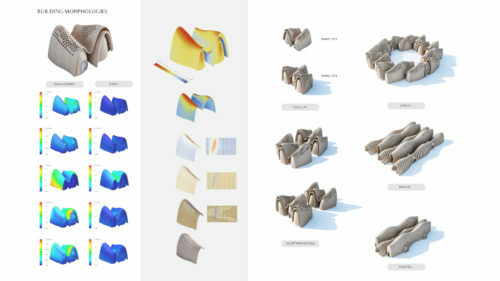 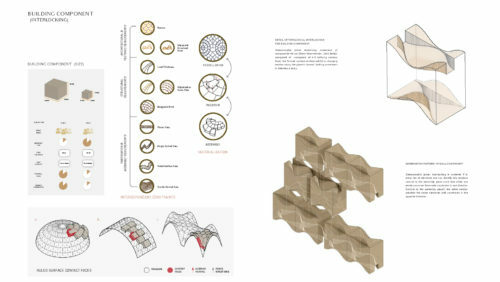 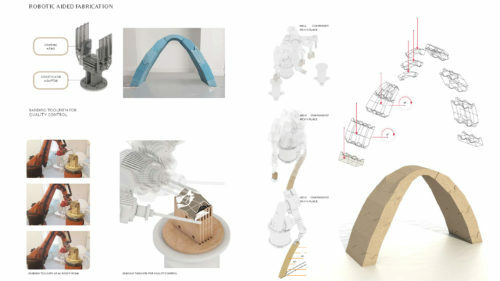 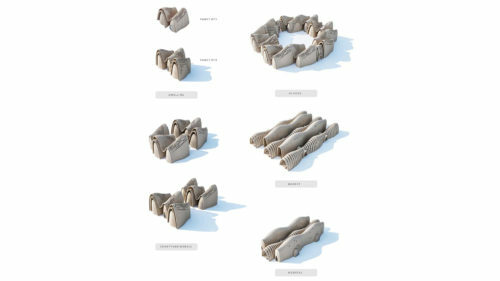 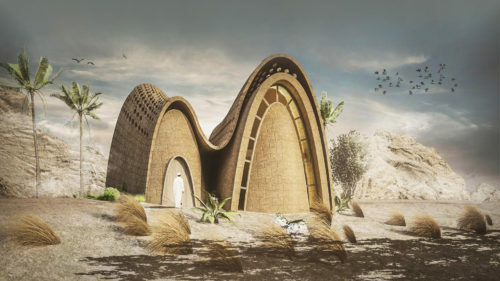 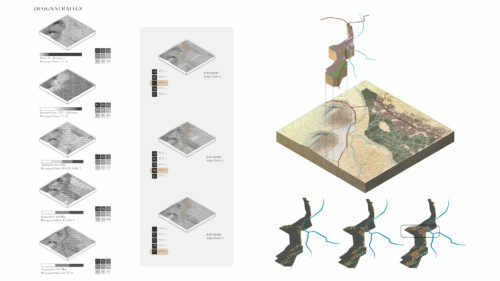 This dissertation aims to achieve a synthesised design and construction process that integrates locally resourced material system with novel automated fabrication system in search of resilient, mono-material settlements, in hot desert regions. 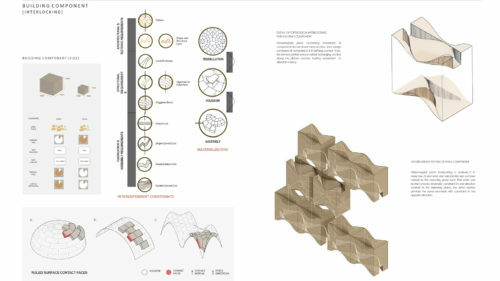 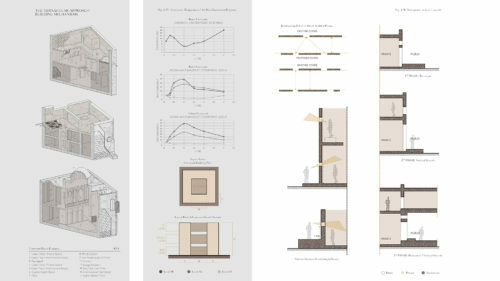 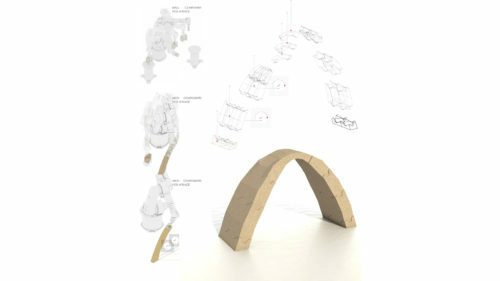 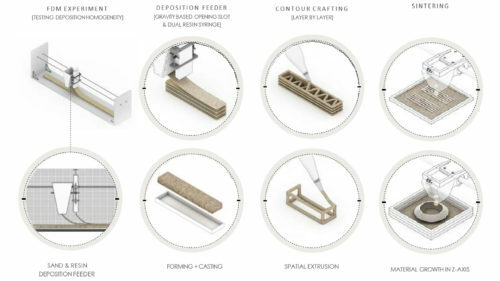 The material properties, coupled with form finding and environmental analysis, are exploited on their capacity to offer suitable design methods in building scale. 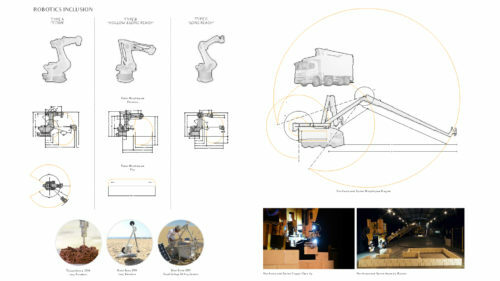 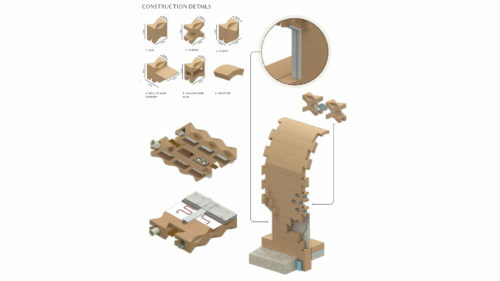 Robotic fabrication methodologies and sequences of construction, from the building component’s fabrication to the final pick and place assembly process, inform all design scales investigated in this project. 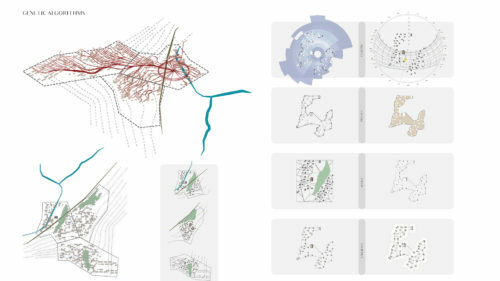 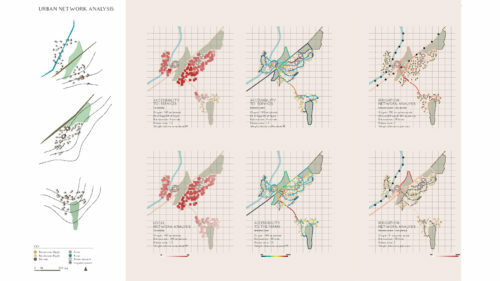 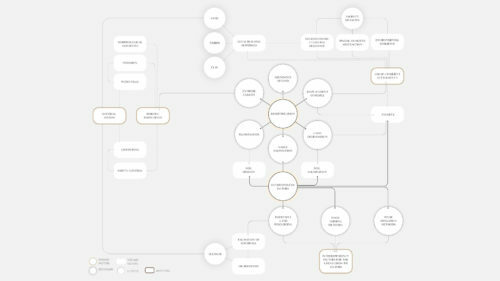 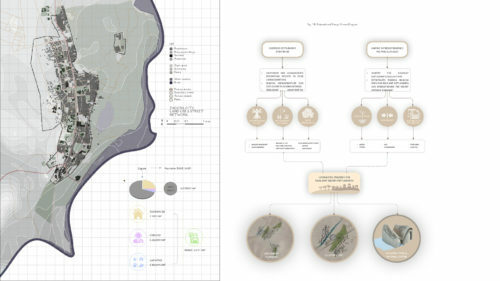 Site characteristics, environmental dynamic parameters, and socio-economic particulars are studied, to construct organisational and design strategies that lead to the settlement and clusters design. 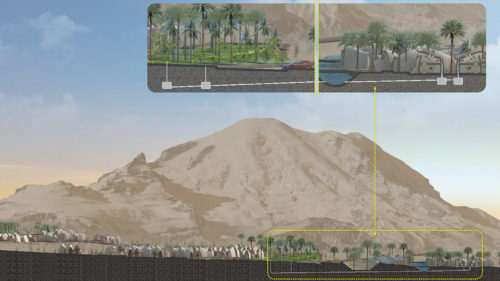 The proposed synthesised system, tested in Zagora city, one of Morocco’s oases in the Draa Valley. 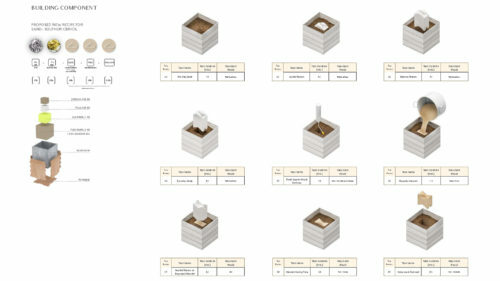 Specifics site conditions create the opportunity to test the system’s capacity and limitations. 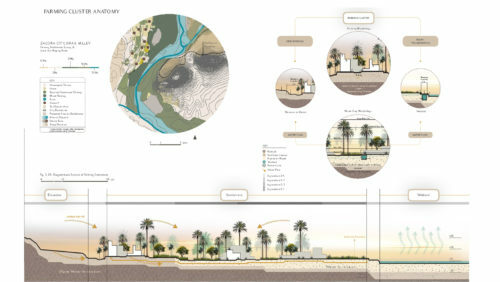 The relation of the existing city to the proposed settlement, becomes the final evaluation tool of this project.